It is great seeing your child grow, and it always comes with a number of decisions to be made. One of the decisions you will have to make will be progressing your child to a booster car seat. Your child will eventually grow too big for a front-facing car seat but still won’t be big enough for your car’s seat belt. A booster car seat will elevate your child hence they will fit better in seat belts for grown-ups. It’s also advisable to be up-to-date with the recommendations on car seats. Today we give a list of 10 best booster car seats to consider in 2018 to make your selection easy. Usually, a child will need a booster seat between ages four and six and different manufacturers have different weight limits for their booster car seats which we have considerably covered in this article. It is important to set aside a budget for what you want to buy for your child. This makes your decisions easier and faster to make. You will need to choose a booster car seat that provides the best service to your child but still falls within your set budget. The safety of your child is non-negotiable. Consider how easy it is to hook and unhook the buckles from the seat, the side impact protection, various installation systems and also the straps. Each feature should work hand in hand with the other to offer your child top-notch protection. Consider a booster car seat that will give you an easy time setting up. The belt adjustment system should make it easy to loosen and tighten the belts on the seat. Also, consider straps and adjustment harnesses that are easy to install and move from one car to another. Consider keeping your child comfortable throughout your travel as this will make them calm. 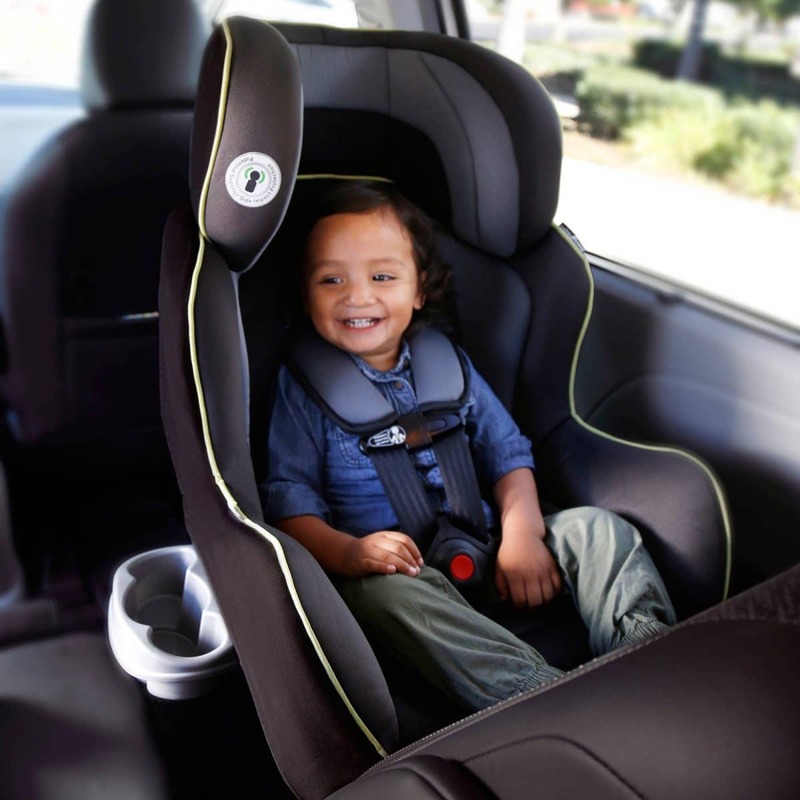 Comfort features for booster car seats include; thick padding to keep the child cozy, and the energy-absorbing foam liner to cushion the child in the seat. Adjustable armrests and backrests also add more comfort. High-backs – These booster seats are a mini-sized, with a bottom and back, just like a vehicle’s seat. Most high back booster seats come with a padded headrest while on some, the backrest can be adjusted to fit the height of the child. Backless boosters – These booster seats are cheaper than high-backs. Their seat component is the only thing that will provide extra tallness needed for them to be strapped in safely. In some, the lap belt is positioned by a clip. Why we like it: Provides supreme protection for your child with combined systems of safety mechanisms that slow and reduce forward movement during a crash. We like that the easy to adjust harness grows with your child of over 2 years old, weighing between 25-120 pounds, with up to 9 different positions that will comfortably hold them through elementary school years. The installation system has been designed to give you an easy time mounting the booster seat. With this booster seat, your child is safe thanks to the SafeCell full side impact PLUS feature that is dedicated to their protection in case of an accident. It comes with a fastener that can be quickly adjusted to 9 different positions and a 2-position clasp that is convenient as it enables the seat to grow with your kid. The Frontier ClickTight’s seat can tilt back to fit your child’s preferred position thanks to the booster’s front-adjust recline. The Frontier Clicktight gives you peace of mind as its clicktight feature ensures a proper and easy set up each time by just fastening the seat belt. The SafeCell impact guard will reduce movement of the seat slowing forward movement giving your child unmatched security during a crash. The Frontier Clicktight features a slender design that will fit more comfortably at the back of your car if you have more than one car seat. It is also designed to grow with your child with 9 various harness positions that can easily change position with a swift squeeze and lift. When it comes to your child’s comfort, the front-adjust recline comes in handy as it allows you to tilt back the seat to suit their comfort. 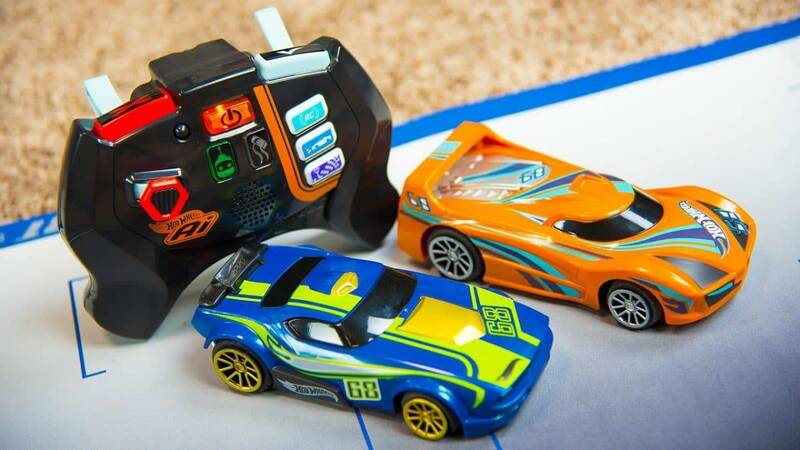 At a cost of about $279.99 while writing this article, the Frontier Clicktight does not come cheap. The added expense comes from the Clicktight and other safety technology features which are optional. With all the significant features it comes with, you shouldn’t shy away from digging deeper into your pocket. The Frontier Clicktight with harness offers an impeccable blend of trusted safety, coziness and is handy making it an exceptional choice for your growing child. Why we like it: Chicco Kidfit has an accurate belt fit on children of different sizes and ages. We like that it has cup holders that you can fold away when your kid is not using it and the easy to remove backrest and seat cushion. The Chicco Kidfit is a stylish and functional booster car seat suitable for 4 year old and above. The Duo Zone for head and shoulder side impact will offer protection for your kid and the seat has a detachable backrest for older kids. It also features superior fasteners that will keep the seat in place making it easy to get in and out. Most people are always worried about their child outgrowing their booster seats in a few months. Chicco Kidfit comes with Duo Zone combined head and shoulder offers convenience for your growing child with its impact protection feature. It can take height between 38-57 inches and weight between 30-110 pounds so you won’t have to worry about your kid outgrowing their booster seat in years. We like that the backrest can be detached from the seat to fit older children. 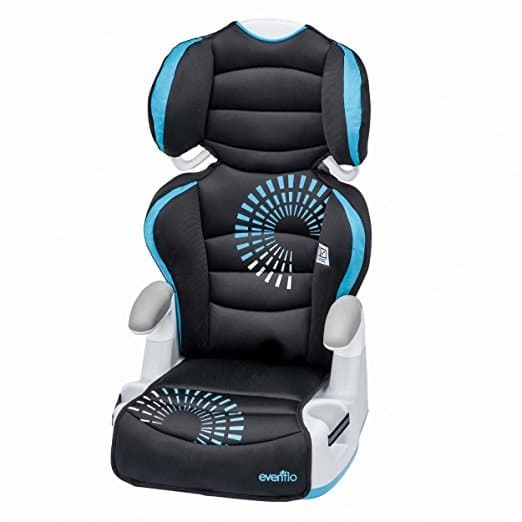 When it comes to your child’s comfort, Chicco Kidfit has an ErgoBoost double foam padding and contoured seat that provides comfort and support to your kid, and a backrest that has 2 positions which is convenient since it adjusts to offer you the comfort you get while sitting on your car seat. Made from plastic, fabric, and foam and weighing 10.2 pounds, the seat, cushions, and arm support covers can be cleaned using a machine making it easy for you to clean. The changeable backrest is designed to be used as a high-back booster for weights between 30-100 pounds and a no-back booster suitable for weights between 40-110 pounds ensuring you can use the booster seat as your child matures. It also features 2 cup holders that hold your child’s drink while on the road and can be removed for cleaning. At the time of writing this article, the seat comes at approximately $99.99 with a 1-year warranty. Considering its multiple features, one can’t ask for more from Chicco Kidfit at this price. Chicco Kidfit is adjustable ensuring it will grow with your child. 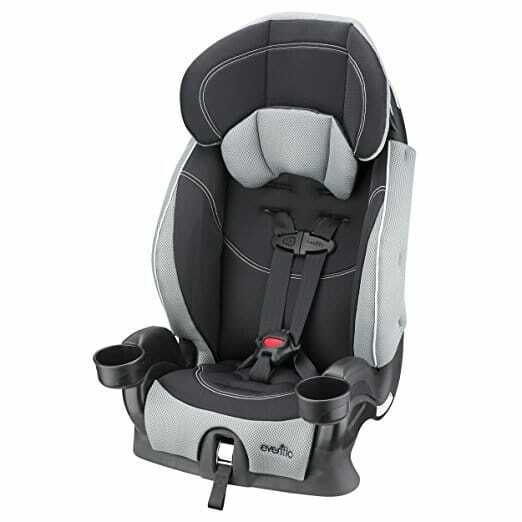 The dual mode ensures it can be used as a high back booster until the back portion is outgrown and after which you can continue to use the bottom portion without the back portion until your child transitions to using the adult seatbelt. Coupled with its sturdiness and comfortability, Chicco Kidfit is our number 1 booster car seat for developing children of at least 4 years old. Why we like it: Recommended for 4 years old children and above, Affix Youth supports children weighing between 30-100 pounds. We like that it keeps your grown kid riding in elevated back booster seat mode with a weight of 30 – 100 pounds which converts to backless style for children weighing between 40 – 100 pound, giving you the experience of two booster seats from a single purchase! The Affix Youth Booster has a unique, easy to set up front-adjust fastener that ensures easy installation. You can easily remove the back portion hence convenient since it grows with your child to ensure years of use. Your child will love that it stays securely in place making it easy for them to buckle themselves. The cup holders and storage sections on the booster seat are convenient for your child as it holds their drinks while on the road. The headrest has several layers and it can be raised or dropped to keep your growing child safe and comfortable. We like that with Affix Youth Booster, you can easily remove the back portion to make the seat fit your growing child so you do not need to worry about changing the booster seat. When it comes to your child’s convenience while on the road, the seat has a compartment to safely keep what they value and a cup holder for their drinks. The Affix Youth Booster is designed with style and comfort features that your kid will love. The headrest is designed with many layers that will offer your child a comfortable ride. The high back booster car seat is designed to be fully flexible to always achieve the proper fit, keeping your child secure on all of your journeys together. For approximately $52.99 at the time of writing this article, you will use the booster seat up to 10 years from the day of purchase making this the best value high back booster seat that can be found. Affix Youth Booster takes into consideration a number of safety measures by its unique features; The open-loop belt guides ensure your vehicles seat belt are always positioned in the approved manner. It is further engineered and tested to meet US protection measures making this the safest and best booster car seat for your entire family. Why we like it: Graco TurboBooster elevates your child to fit your car seat belt keeping them safe. We like that it fits children of at least 4 years old up to 10 years of age, weighing 40-100 pounds. The Graco TurboBooster is extra comfortable thanks to their armrests that are well padded and their height that can be adjusted to perfectly fit your child. The dual cup holders that can close when not in use, will hold your child’s toys and snacks keeping them engaged and happy throughout the ride. It has been engineered and verified to meet US protection standards so you can transport your child in this booster car seat without having to worry about their safety in case an accident occurs. 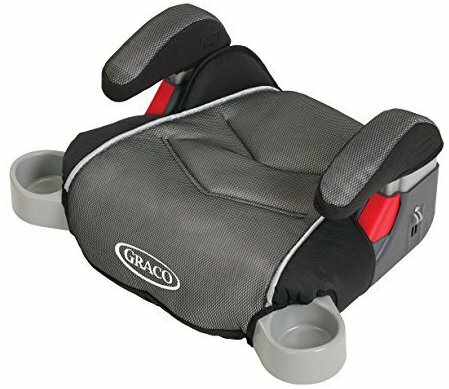 Graco TurboBooster is built to keep your child safe in the car. It has a belt-positioning backless seat that allows your child to sit in a position that the car seat belt will fit appropriately offering them protection in case of an accident. The armrests are designed to be adjustable to your child’s height ensuring additional comfort throughout the journey. The seat cushions are machine washable thanks to their parts that are made of plastic and metal which can be easily cleaned with readily available soaps and water. Costs around $30.98 when writing this article thus affordable if you are working with a limited budget. Graco TurboBooster has been carefully tested to meet U.S. protection standards making it a trusted option to help your kid enjoy a comfortable and safe car ride even if they are not yet big enough to use the car seat. It’s definitely worth your money. Why we like it: Evenflo AMP easily switches from a high back booster to a no back booster and has a comfortable padding around the head and neck. We like that its height can easily adjust to your child’s height hence convenient when your child is still growing. The Evenflo AMP provides safety and comfort with shock absorbing foam liner and seats that can adjust up to 6 heights with just one hand. The cup holders allow your kid to travel with their drink that keeps them engaged throughout the ride. It fits children weighing between 30-110 pounds of 38-57 inches’ height thanks to the seat that can easily change from a high-back booster to a no back booster. With Evenflo AMP booster seats, you do not need to buy a new seat as your child grows taller but just easily adjust the seat’s height up to 6 positions higher for their comfort and safety. The energy-absorbing foam liner will protect your child in case of an impact keeping them safe always. Your child will like that it is designed with cup holders on both sides since they can easily access their drinks by just stretching their arm. The 6 height positions design lets the back adjust as your child grows, keeping the side and head support in the correct position. You will appreciate that your car seat will always be clean thanks to the seat pads that can be easily cleaned using a machine. 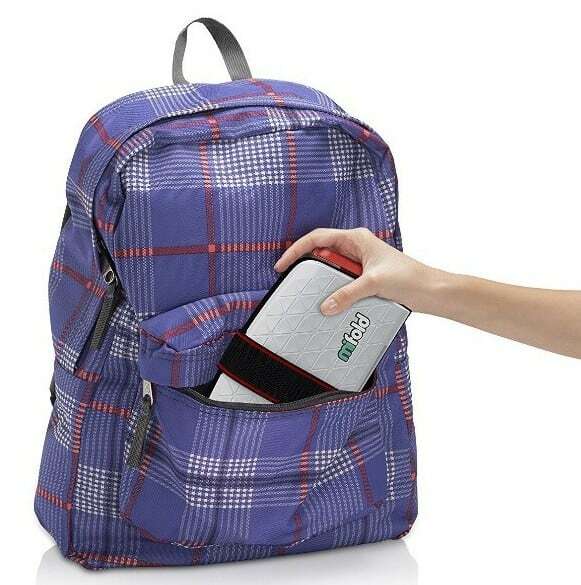 With approximately $36.99 at the time of writing this article, you can get your child the Evenflo AMP and keep them safe while traveling. Evenflo AMP provides safety and coziness to your growing child. 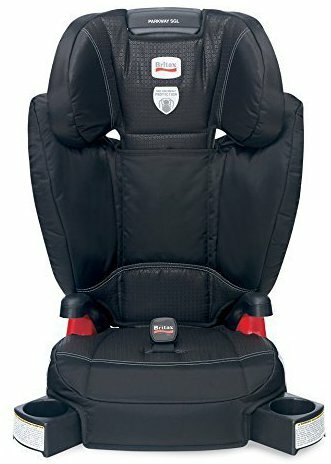 The padded liners and 6 position height adjustable seats make this the one of the best, reasonably priced booster car seat for travel. Why we like it: Graco TurboBooster comes with a head support whose height can be adjusted and padded armrests that can be adjusted to the desired height that will help protect children up to a maximum weight of 100 pounds. You won’t need to worry about your child abandoning their car seat as the Graco TurboBooster easily converts from a high-back booster seat to a no-back booster seat to keep up with your child’s height. It fits your mature kid of at least 4 years up to 10 years, weighing between 30 – 100 pounds, to a maximum height of 57 inches. It provides years of use thanks to the seat’s ability to convert to a no-back booster seat when your child is ready to transition. When it comes to buckling up, Graco TurboBooster has gone through rigorous safety testing and engineering giving you confidence in your child’s safety. Graco TurboBooster seats have been engineered and crash verified to ensure it is safe hence best for travel giving you confidence on your child’s safety during the journey. We all love comfort while on the road and so will your child with the padded armrests that they can adjust without your help to suit them. When it comes to safety, the shock-absorbent foam will keep your child safe in case of an impact while the open-loop belt guides will aid you correctly position your car’s seat belt securing your kid. The glacier fashion combines firm neutrals of black, pale and charcoal gray colors that stand out and will keep you and your toddlers riding in style. The multi-layer adjustable headrest has been designed to be fully adjustable putting into consideration your child’s comfort as they grow. Your child will love the cup holders that will hold their drinks while on the road and can be easily slipped away when they don’t need them. Selling at approximately $45.99 with a 1-year warranty when writing this article, coupled with amazing safety features and a style that both you and your child will love ensures Graco TurboBooster gives you value for your money. Graco TurboBooster with no doubt is committed to your child’s safety. It has undergone rigorous safety tests and might just be the safest booster car seat for your growing child. 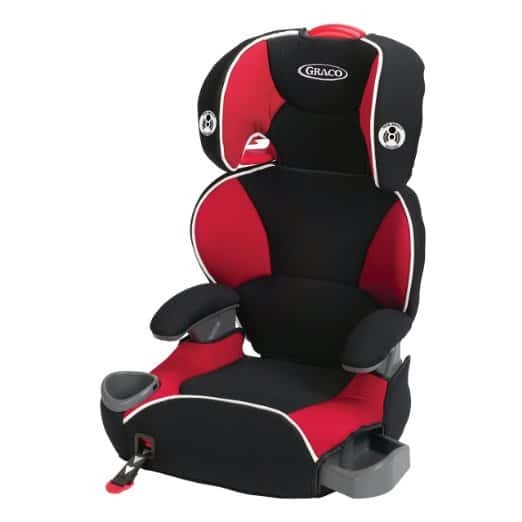 Why we like it: Comes with guides that will make it easy for you to position the seat and the connectors further keeps the booster seat sturdy when not in use making it easy to install. We like that it has an Isoflex fastener that keeps the seat secure when it is not being used. 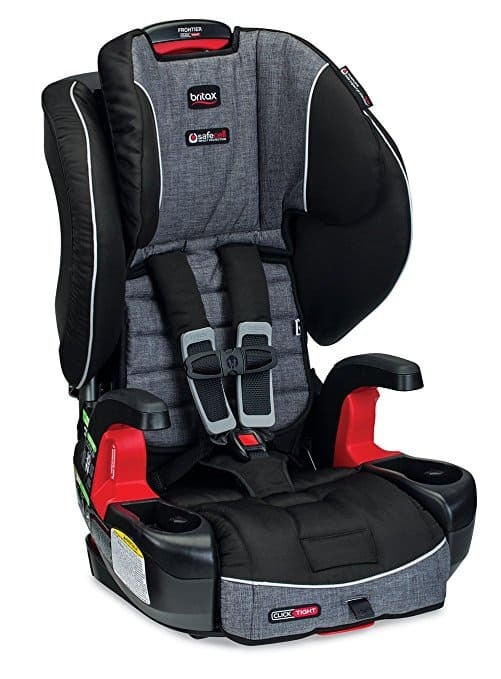 The Britax Parkway SGL has an Isoflex fastener that fortifies the seat in your car when not in use. Your child will always be safe thanks to the foam-lined head padding and shell that is shock absorbent. The above coupled with a belt-positioning that has a safety guard will keep your child protected during a collision. Britax Parkway SGL offers the best protection to your child against side impacts with the shock absorbent headrest. To add to your child’s safety is that the belt has a safeguard that will keep your child from slipping off the seat belt in case of a collision. The Britax Parkway SGL has a well thought through design with the Isoflex fastener that keeps everyone in the car safe as even when not in use, the seat is well secured in its place. The headrest is designed to be adjusted easily with just a push of a button ensures it keeps up with your child’s growth. Your child will love the 2 incorporated cup holders that will hold their drinks while on the road. Approximately $119.99 at the time of writing this article for a smart booster car seat that offers full protection to your kid is worth buying. Britax Parkway SGL offers superior safety with remarkable convenience and safety for your child. 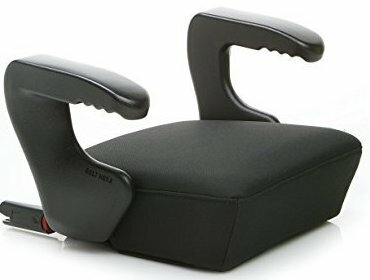 It not only keeps your kid’s safety in mind but also the rest of the people in the car making this an exceptional choice when you kid is transitioning into a belt-positioning booster seat. Why we like it: The Evenflo Chase Harnessed Booster converts from a harness booster seat to a belt-positioning seat safely transporting kids weighing between 22-110 pounds. We like that it comes with a harness appropriate for growing children. The Evenflo Chase is best for your growing child thanks to the 4 harness positions and comprehensive use that enables the seat to transform to how you use your car seat belt from a 5-point harness. Its belt-positioning comes with a guide ensuring an accurate and safe fit. When it comes to safety, Evenflo Chase has been tested to meet all applicable federal safety standard. The Evenflo Chase is designed with a harness to offer safety and comfort for your growing child. 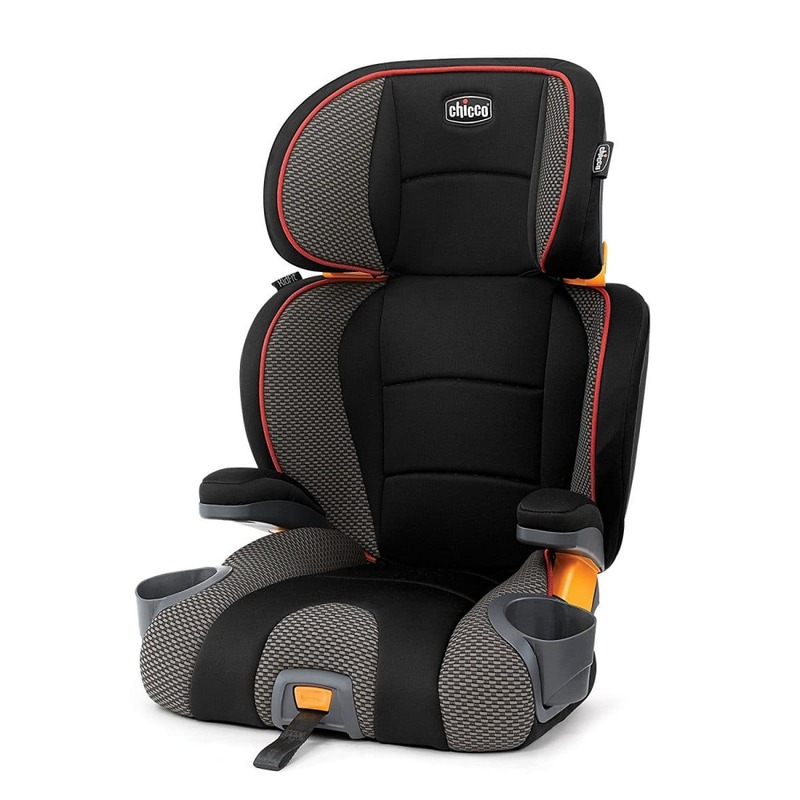 We appreciate the 5-point harness that will keep your child of up to 40 pounds and 50 inches securely seated. It is made with a comfort technology that elevates pressure points as your child grows with exceptional separate layers. Not to forget are the 4 shoulder harness and 2 crotch belt positions which adjusts to fit your child’s needs as they continue to grow. 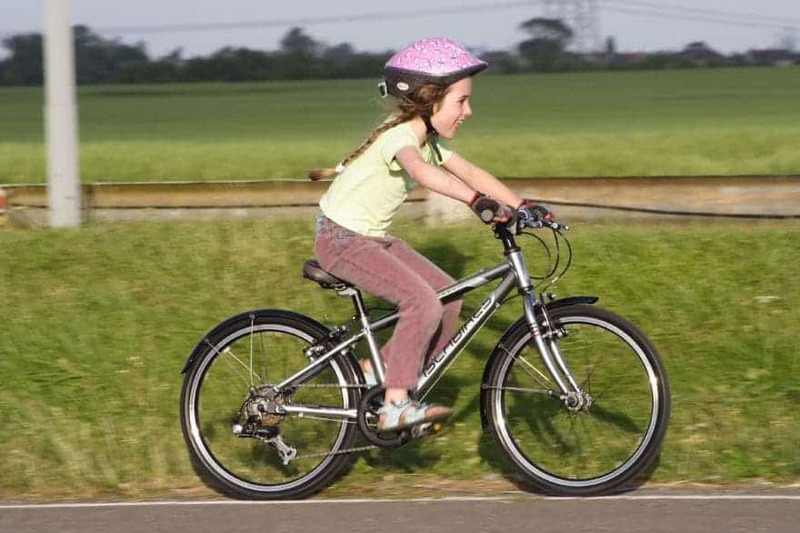 It is designed and tested to combine safety and luxury for your child. Its lightweight design is equipped with a fastener and a tether that makes it easy to move the seat and install in multiple vehicles. The cup holders are convenient to your child as they can reach out for their drinks easily. Considering the durability and exceptional safety scores of Evenflo Chase, a cost of approximately $64.99 at the time of writing this article is lower compared to most other alternatives in the market. 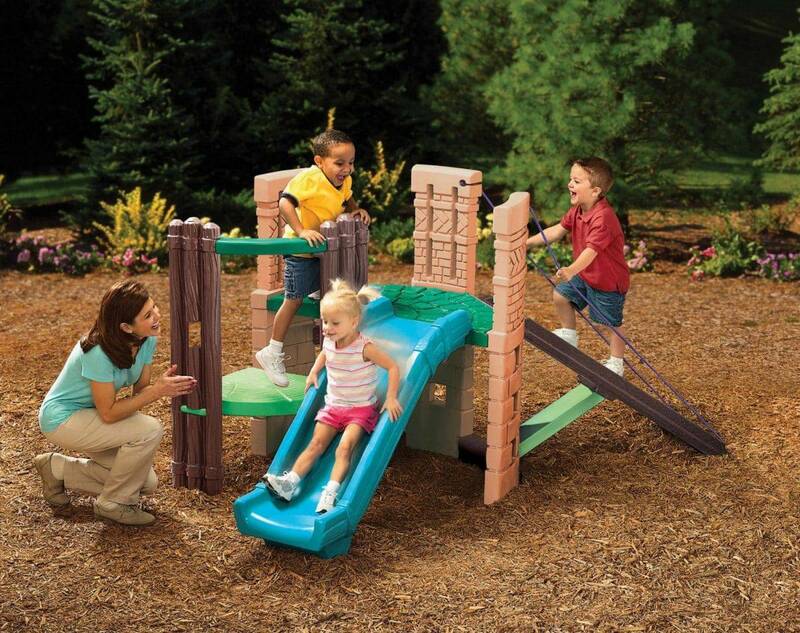 The Evenflo Chase is best for children between 22-110 pounds. Its ability to convert from a harness booster seat to a belt-positioning seat with 4 shoulder harness positions makes this an unbeatable seat as it will stay with your family for many years and even be passed on to your future kids. Why we like it: The Clek Ozzi is designed for over 4 year old children. It employs firm latch system that provides supplementary stability in case of a collision. We like that it mimics a car seat to protect your child’s bum against numbness. When it comes to transporting car seats from one vehicle to another, Clek Ozzi reduces the hassle thanks to its lightweight. It has fasteners that attach securely and in seconds to your vehicle’s lower anchor providing additional stability to your booster seat in case of a collision. Additional features that both you and your kid will love includes padded armrests for comfort, a drink holder and easy free-hands that will give you an ample time carrying the seat from one vehicle to another. We like the Clek rigid fasteners that are located between the fold of the seat rear and seat cushion that will keep your child’s seat sturdy in case of a collision and anchors in its place securely within just 10 seconds. Its quick-release method ensures easy and quick removal just as its installation. Clek Ozzi seat covers are sleekly designed to blend with your car’s interior. When it comes to cleaning, the seat covers are easily detachable for washing. The comfort seat prevents your child’s bum from being numb, ensuring the seat offers a stylish, comfy and clean ride. Approximately $74.99 with a 1-year warranty and 9-year expiration period at the time of writing this article gives you value for your money over years. The Clek Ozzi portable seat is designed to keep your little one safe. Its portability and secure seating makes this perfect for on the go families. Why we like it: The most innovative, compact and handy booster seat designed for 4 years old children and above. We like that it is 10 times smaller than usual car seats but equally safe. 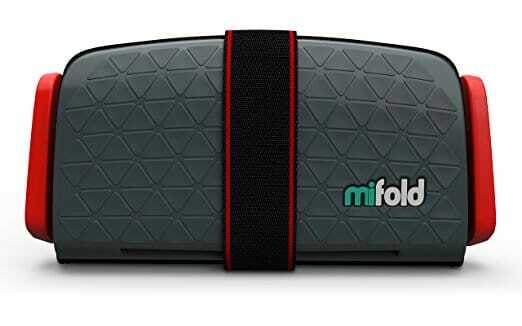 Mifold Grab-and-Go brags of its ability to fold up to fit into the smallest spaces so you won’t have to worry about where to carry it. When it comes to safety, it has been frequently tested to meet federal safety measures. It is perfect for small cars thanks to its ability to fit perfectly three-in-a-row. Ride with peace of mind with a car booster that has been regularly tested to give you an assurance of your child’s safety throughout your travel. It can be further adjusted to securely restrain children of all sizes thanks to the adjustable lap belt guides that are also quick to adjust allowing swift, stress-free and accurate adjustment for children of all sizes. The belt can be easily set up with just one hand. Its design is advanced to be solid, easy to transport and safe. The Mifold Grab-and-Go is designed 10 times smaller than regular booster car seats and weighs just about 1.75 pounds that can always be carried along without filling up the car. Its design is engineered to protect children from 4 years old of age and above with a unique fabric that prevents sliding, does not heat up on hot days and is easy to clean. Going for approximately $39.99 at the time of writing this article, the forward-thinking, solid and convenient booster car seat is a definite value for money. Not to forget is its hard outer case making it durable. Mifold Grab-and-Go is special because it is the most innovative, solid, and easy to transport child car safety seat ever designed. It is commonly meant for use in place of old-fashioned boosters. Make your family visits and ride sharing experience memorable with Mifold Grab-and-Go. Necessary for carpooling and family visits. Setting it up is quite a task but it becomes easier once you get it. What do you need the booster car seat for? What stage is your kid? What is the size of your car and the car seat? How often will you be using the booster car seat? What else comes with the seat? Knowing answers to the above questions keeps you a step ahead as you choose booster car seats making your selection less hectic and faster. Booster car seats come with different features to fit different uses and knowing why you need one will help you minimize on mistakes you could be making with your car seat. How often will you be using the booster seat? What type of travels do you need it for? Short or long? Although most 3-year-olds are not yet ready to graduate to a car booster seat we have a few booster seats that have been built with features that can transport children of at least 2 years old comfortably. We have covered this in our list for best booster car seats 2018 above. Keeping your pet safe is important as they will trust you. Booster car seats for dogs needs to put into consideration the size of the dog and have a seat cover to protect it from dog’s toenails, paws, teeth and general wear from the size of your pet. Traveling with your child? No need to worry about their safety while on the journey. Explore our list above of best booster car seats 2018 to find out which is best for travel. Basically, a booster car seat for travel should have great safety features because you might end up driving on tough terrain and you want to make sure that your little one will be secure through it all. Again, it should be super-comfortable. Some of the features that make a booster car seat comfortable include having the ideal height, a comfortable backrest, adjustable head rest, comfortable harnesses, and it should be well padded. Booster car seats have varying features to fit different weight and height. Knowing your child’s weight and height will not only give you an easy time choosing a booster car seat for them but will also ensure you choose a seat that will keep them safe and secure while transporting them. Again, know when your kid has outgrown their booster car seat and find a better replacement. But, you can avoid this by getting one that will serve them for several years, until their bodies are big enough to fit in a car seat comfortably without the need for a booster seat. And, booster car seats can also provide protection for older kids as well. Some booster seats are extremely portable and will fit perfectly in your bag while others are heavy and not ideal for carrying. For traveling families on the go, booster seats such as mifold Grab-and-Go is most ideal thanks to their ability to fold up and can fit almost anywhere. Are you working with a limited budget? Spending a lot on a booster car seat does not guarantee you quality. We have put together a list of 10 best booster car seat above that can guide you on what to choose at what price. Choose a booster seat that will best fit your car seat for maximum comfort of your child. Some will be best for small cars as they are small enough to fit three-in-a-row at the back of the car while some will not adjust to fit most vehicles. Thus, make sure to confirm that the booster car seat you are about to order is the best for your car. Always get as much value ads as you can with the price you pay for your booster car seat. 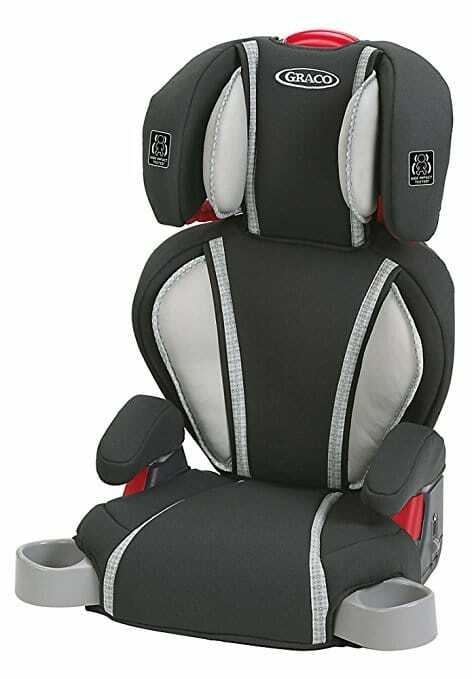 Features such cup holders and padded headrest will give your kid comfort throughout the travel. We all appreciate an easy time while cleaning. Consider easy to clean booster car seats with probably hand washable or machine washable material to make your cleaning easy and fast. Whether you are getting a booster car seat for the first time or you have done it before, having a variety of choices to select from with interesting different features can make your selection difficult. One thing to put in mind always is the purpose of the car seat to enable you to choose the best booster seat that will fit your need such as; for different ages, for travel, for dogs, or for a small car. Again, if you have two or three kids that need booster car seats, ensure that the type you choose is ideal for your car and that they will use them for a long time because you don’t want to keep repurchasing them. To make this easier, we have selected top 10 best booster car seats 2018 for you on our list above. Happy shopping!